Calls to survival come in many forms, most of them pathetic and flawed. Then there are those rogues to whom fight or flight situations are pretty much a fetish, where half the fun of life is assessing how you could prolong such a thing in the case of a zombie attack. ‘Zombie Infection’, bound to be a success among this type of person, is the world’s largest supplier of immersive zombie survival experiences. 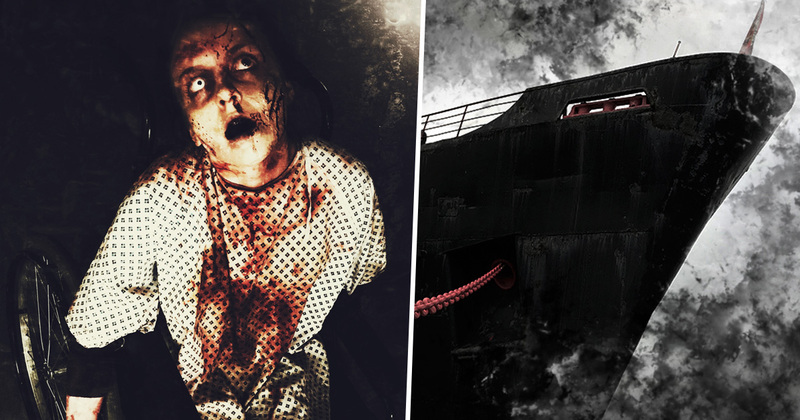 The company themselves claim its one of the only scare attractions in the UK to run events all year round and currently holds the title of UK’s Best Zombie Experience, awarded at the national ScareCon Awards. Events run every Saturday for 2-3 hours and are the most realistic and adrenaline fuelled in the country with more than 850 five-star reviews on Facebook in its five year existence. And now exclusive to Zombie Infection, a world first, a 4,450 geometric tonne ocean liner cruise ship docked off the coast of North Wales near Chester. The Duke of Lancaster, which was designed by the same designers as the Titanic has sat abandoned for 30 years and is completely stuck in time. Tickets are now available on www.zombieinfection.co.uk for the 2.5 hour experience which places guests at the centre of a zombie apocalypse. 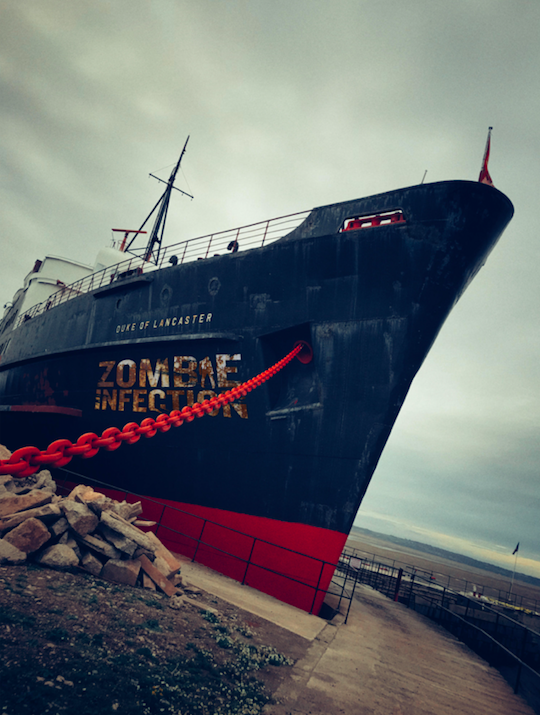 The Duke of Lancaster Zombie Experience. Once armed up with an upgradable weapon guests will be invited on board to uncover the secrets the ship holds while facing movie realistic zombies round every corner. Explore the cabins, engine rooms, captain’s deck, bars and restaurants in hope of finding the answers to ‘the virus’ and ‘its strength’. Long story short, nowhere is safe, so have your wits about y0u. ‘Perfect for surprise Christmas presents, stag/hen do’s, team building and every movie fan who wants to be part of the action. Tickets will sell out fast!’ the team write. FWIW, here’s my zombie survival plan: go up to one and say: ‘Alright, Jesus and St Peter are playing golf. St Peter steps up to the tee and hits a long and accurate shot on a par three over onto the green. Jesus follows suit but scuffs it; so much so it heads into the direction of an adjacent street away from the course. If that doesn’t stop a zombie dead in its already deceased tracks then I’m sorry but you deserve to perish.